As a Data Science Consultant, you will be responsible for assisting our clients envision, design and deploy Machine Learning and Artificial Intelligence solutions. As part of a small, dynamic team, you will have the opportunity to contribute to multiple phases of the solution life cycle. Artis Consulting offers a collaborative and dynamic environment that places a premium on ensuring successful client relationships as well as furthering personal and professional development for our team members. In addition to taking our responsibility to our clients very seriously, we are also committed to providing a learning and supportive community for our team. 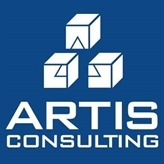 Want to get notified about new jobs at Artis Consulting?